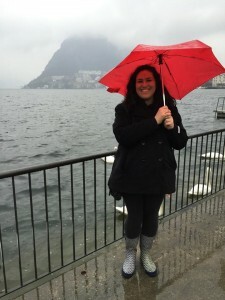 Travel in my opinion is really what brings your study abroad experience to the next level. You crank out so much money, and travel so far to come start your life in a new destination. However, upon arriving you learn just how cheap, and how close other new, exciting places are to you. 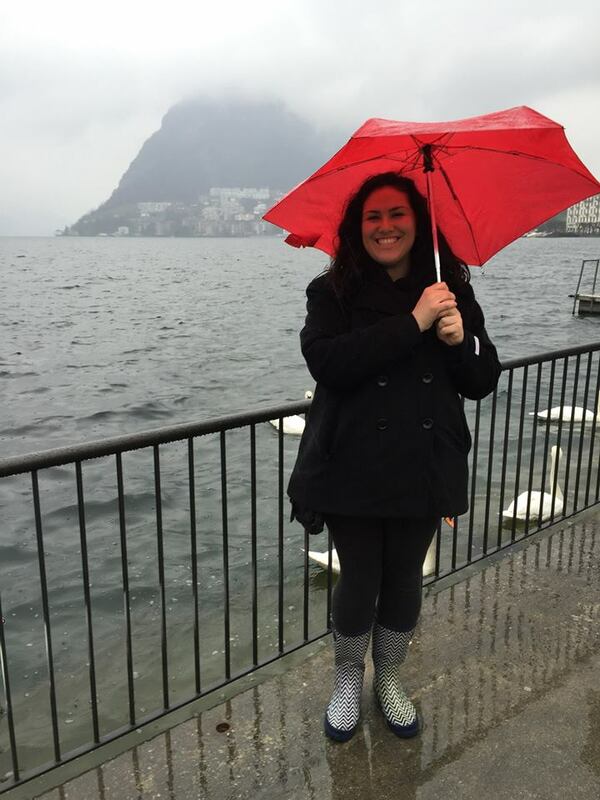 You have to make sure you don’t go too travel crazy, but with study abroad, the world really is your oyster. Or for any Friends fans, the world is your tub of ice cream and just like Ross we all must leave our comfort zones, and grab a spoon. 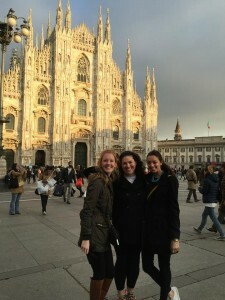 MK, Taylor, and I take on the Duomo! Now keep in mind I have only been away from the United States for three weeks, but I already have been so many places, and have so many more trips planned. I have been around Milan, because you really should explore your home and become familiar with where you live. 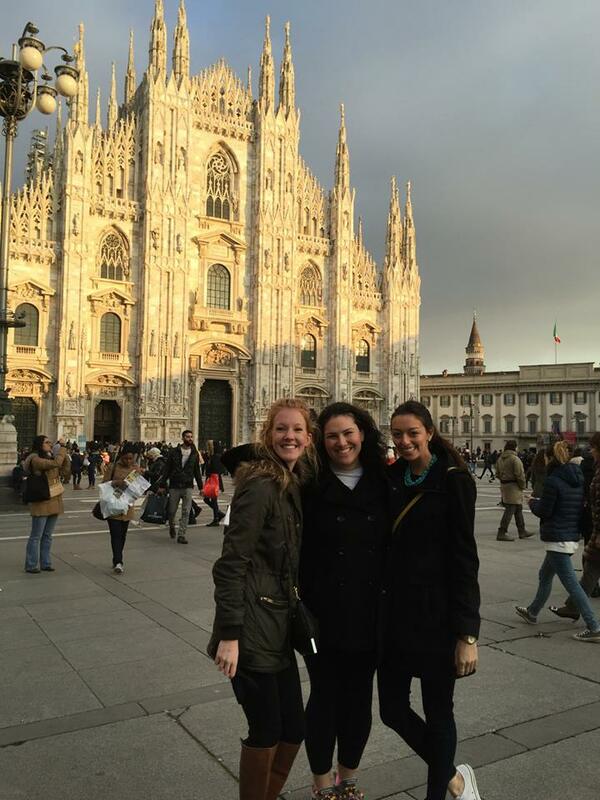 I love Milan, and can’t wait to explore it even further! Visiting other places also put my life in Milan in perspective, and I do not take for granted a single second how blessed I am to live here! Beyond Milan, I have also tackled the famous V Italian cities: Verona, and Venice. As for Verona, what they say is true, Verona really is the city of love. 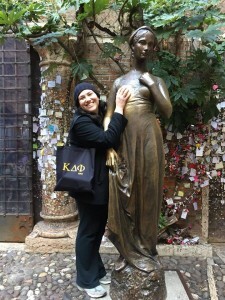 I was enamored by the culture that Verona had to offer. LOVE is in the air, in this little Shakespearean utopia. I made sure to touch both Juliet’s right breast, as well as write a note to her for her wall. 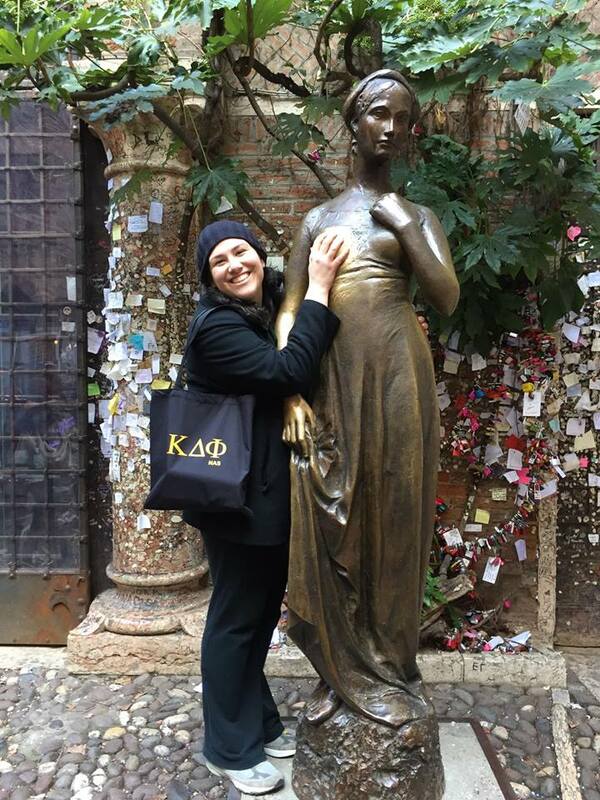 I think Juliet’s wall was one of my favorite things about Verona. It is just cool to see how many people have written to her, and then to become a part of that. 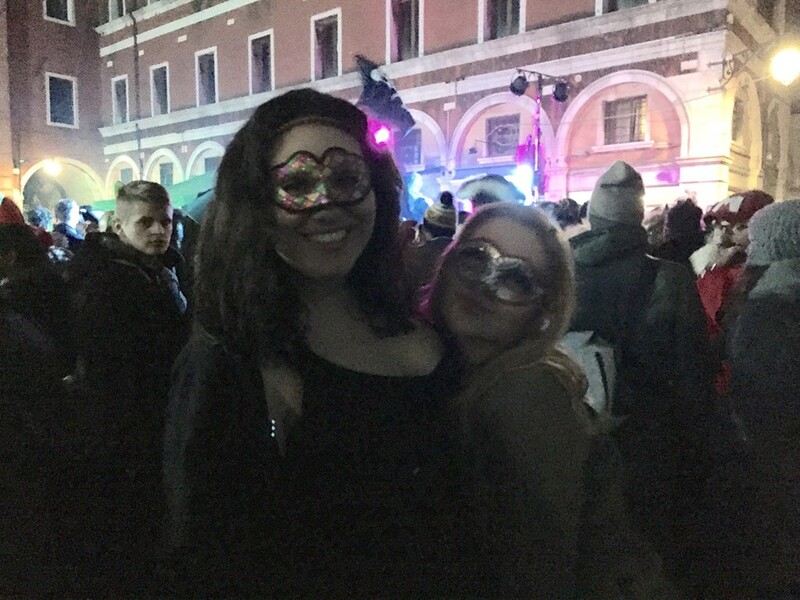 Kara and I did make it to Venice for carnival, which is all I could have ever asked for! The energy in Venice was just so electric, I was so in awe of the fact we had made it there. Plus spending Valentines Day like this wasn’t too shabby either. Don’t worry, I made sure to bring Kara some chocolate earlier that morning, because every girl deserves to have some chocolate on Valentines day. Next up was my first trip out of Italy, however still by train. Ironically enough traveling to Switzerland proved to be even closer then any of our Italian voyages. I went to Lugano. Despite the weather not compromising with us, paying in Franks as opposed to Euros, and one miscommunication where I set off an emergency exit, I bought countless bars of Swiss chocolate & hot chocolate mix at the Schokoland and ate countless free samples. Being quite the chocoholic, this really made the trip worth it. I am ready for many more adventures, all I can say is bring it on! These once and a lifetime opportunities will not be taken for granted by me. I am just ready for whatever comes next. Thanks for reading!